Dee Linford is not a well known author today, remembered if at all as the author of the story Man Without A Star, which was made into two movies, Man Without A Star (1955), A Man Called Gannon (1968), and an episode of a TV series, The Virginian, in 1963. THE sign was a crudely lettered shingle, nailed to the trunk of the only tree in sight. "Welcome to Wildcat,” it bade the stranger—expressing in three short words the whole timeless spirit of friendly optimism on which such towns are founded. But the town itself was nowhere in sight. Stub Williams, so called because of his unusual angular height, sat hunched on the spring seat of his high-bedded wagon, looking at the sign and at the sentinel cottonwood which rose like a skeleton above the rubbish-littered flat. Weighing a problem in his mind. The sign was in the right. The sign had to be in the right. The map the saloonman had sketched for Stub in Casper had placed the town squarely between the forks of Deadman Creek, here on the Poison Spider Plains. Well, Stub was sitting within sight of Big Deadman, to his right, and Dry Deadman, to his left. And there was the sign welcoming him to town. The rubbish scattered around showed the town had been there, no more than a week before. But the town, clearly, was not there today. The whole setup was baffling, and slightly eerie. Stub rubbed the back of his sunburned neck and looked quickly behind him, as if expecting to find the missing community of five thousand souls stalking him from the rear. But he saw only the bleaching bones and rusty tin cans. The heaps of whiskey bottles where the saloons had stood. The fly-crawling refuse and charred debris of what once had been a thriving town. A town where Merrybelle had lived, wanting to have a well sunk. How can you not go reading on after that? I did; it's a story of a rich man dominating an entire town, with a stranger riding in to rescue the exploited townsfolk, a theme to which Dee returned many times. Deverl (Dee) Hess Linford was born on March 3, 1915 in Afton, Wyoming, a town on a section of the Oregon trail bordering Idaho and Utah, in a grassland valley surrounded by forested mountains. His parents were Joseph Linford and Sarah Hess, both of whom had English and Utahn parents. Joseph Linford had earlier studied at Brigham Young University and moved to Afton where he homesteaded a ranch and worked in the dairy business. This history and backdrop was later used by Dee Linford in some of his stories. 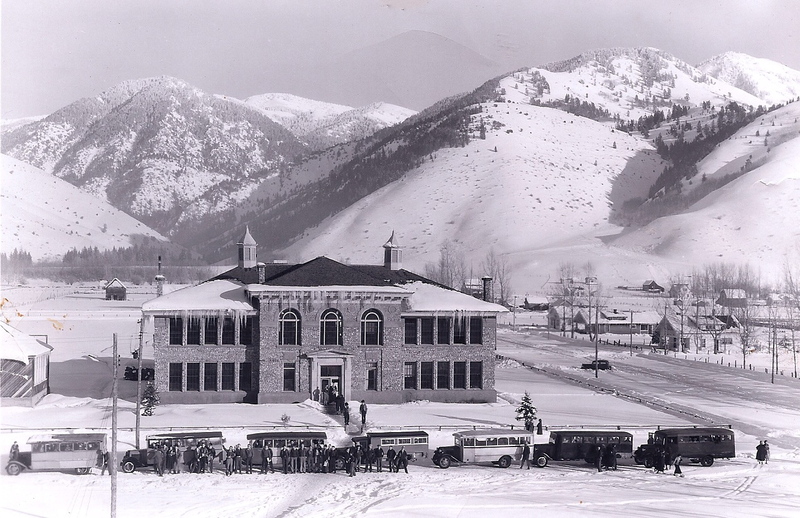 Dee went to the Star Valley High School in Afton, where he was a scholarship student. In 1932, he gave the salutatory address at his high school graduation. After that came the University of Wyoming, Laramie where he studied journalism. He worked briefly on the Laramie Republican-Boomerang. In 1934, he married Helen Grace Bagley, also from Afton. She was in the class that graduated one year after he did. They moved to Cheyenne, Wyoming, where he became the editor of the Wyoming Wildlife magazine, published by the Wyoming Game and Fish Commission. In 1938, he was also assisting in the preparation of the WPA Guidebook to Wyoming, Wyoming: a Guide to its History, Highways, and People. I came across a newspaper report from 1939 that says he had sold his first two stories for $200. His first stories appeared in Dime Western in early 1940, according to the FictionMags index, so this feels right. In World War 2, Dee served as on the U.S.S. Neshoba, an attack transport ship that operated in the Pacific theatre of war from 1944 to 1946, participating in the battle of Okinawa, travelling from Guam and Saipan to Seattle and San Francisco with POWs and soldiers. During this time, his output dropped to a couple of western stories a year, still an impressive feat considering the conditions he was working under. He didn’t start writing about his war experiences or setting some stories in the area, unlike other writers. Sometime in the very late 1940s or early 1950s, the Linfords moved to Socorro, New Mexico. Helen joined the New Mexico Institute of Mining and Technology as a professor of mines. Dee went to work in the publications office of the University before becoming a technical writer and editor in the New Mexico State Engineer’s office. It was just as well they did this, the pulp magazine market was collapsing in the early 1950s and they must have financially benefited from the move. 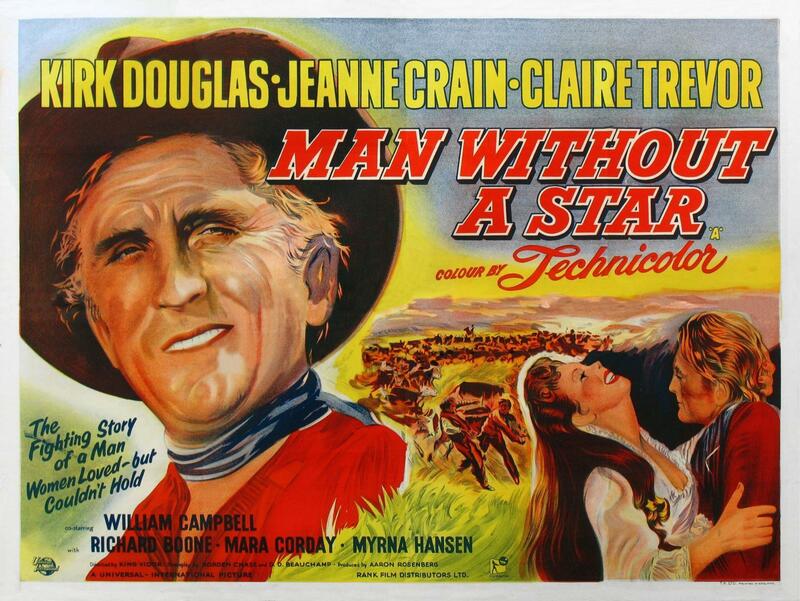 In 1952, Dee published the book “Man without a star” that was subsequently made into the Kirk Douglas starrer, Man Without A Star. The movie has another pulp connection; one of the screenplay authors was Borden Chase, a writer who had moved to California as a studio writer. This book seems to have been the last of his writing career; I can’t find any records of either books or magazine articles/stories written by him after 1952. In 1954, Helen died unexpectedly of a cerebral hemorrhage, leaving Dee to raise their four children. Dee passed away on August 20, 1971 after a long illness. His papers are at the University of Wyoming’s American Heritage Center.